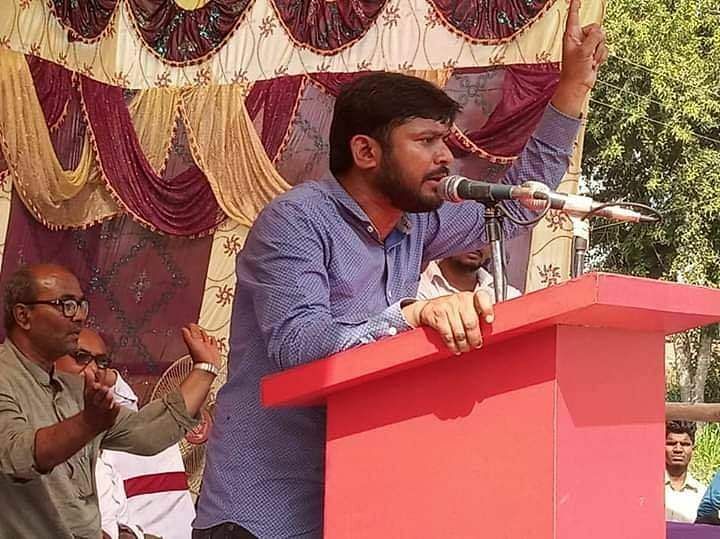 Former JNU student leader Kanhaiya Kumar, contesting as a CPI candidate from the Begusarai Lok Sabha seat in Bihar, has earned Rs. 8.5 lakhs in two years through his writings, he has said in the affidavit filed along with his nomination papers. Kanhaiya is a doctorate but is unemployed, he says in his affidavit. Kanhaiya, who spoke against the ruling BJP-led NDA and its ideological agenda, has declared Rs 8,58,650 as his income for two years through freelance writing, appearing as a guest lecturer in different universities and the sale of his book "Bihar to Tihar". However, in a first of its kind experiment in Bihar, Kanhaiya Kumar says that he has raised Rs 70 lakh by crowd-funding that he launched last month to raise money to contest the Lok Sabha polls. In comparison to his two major rivals in Begusarai, Union Minister and Bharatiya Janata Party (BJP) leader Giriraj Singh and the RJD candidate Tanweer Hasan, Kanhaiya is much poorer as far as his movable and immovable assets are concerned. According to the affidavit, he has Rs. 24,000 cash in hand and investments and savings amounting to Rs. 3,57,848. He has mentioned one immovable asset — his ancestral property, a house in his native village of Bihar which stands on 1.5 decimal land and is valued at Rs 2 lakh. His father is a farmer and mother, an Anganwadi worker. Kanhaiya, 32, in his affidavit, has admitted that there are five cases, including one relating to sedition, against him. Kanhaiya Kumar hit the national headlines when he was arrested in February 2016 and accused of sedition for allegedly doing nothing to prevent the raising of anti-India slogans on the JNU campus in Delhi. Kanhaiya is the joint Left candidate and supported by several organisations, Left-liberal activists and Bollywood actors and theatre personalities. Bollywood actors Shabana Azmi and Javed Akhtar are likely to campaign for Kanhaiya in Begusarai. Sawara Bhaskar has already spent a day campaigning for him. Besides, Gujarat Dalit leader Jignesh Mewani has already campaigned in Begusarai. Hardik Patel will also campaign for him. Dozens of activists have already joined Kanhaiya in his campaign.